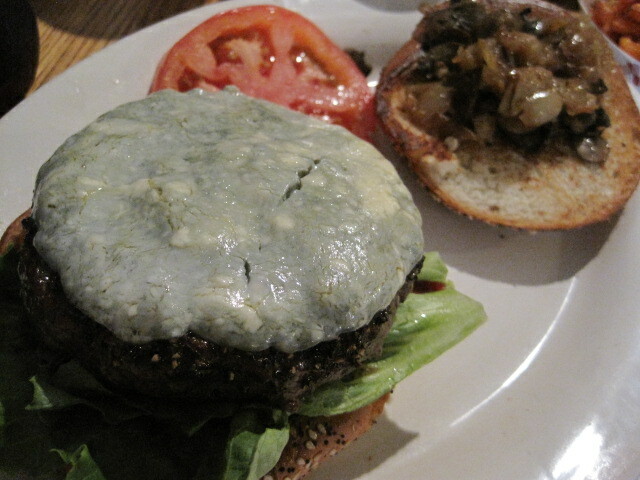 This was my second trip and I got the same burger as last time: B.I.G. Poppa (Au Poivre Burger With Black Peppercorn Crust, Aged Danish Bleu Cheese, Cognac & Sherry sautéed Mushrooms, Grilled Red Onions). Xtine got the Big Punisher (Diablo-Grilled and Brushed With Our Spicy Chipotle Marinade, Pepper Jack Cheese, Charred Jalapenos, Grilled Red Onions, Piranha Sauce-Fiery, Spicy, Green Sauce). They were delicious. 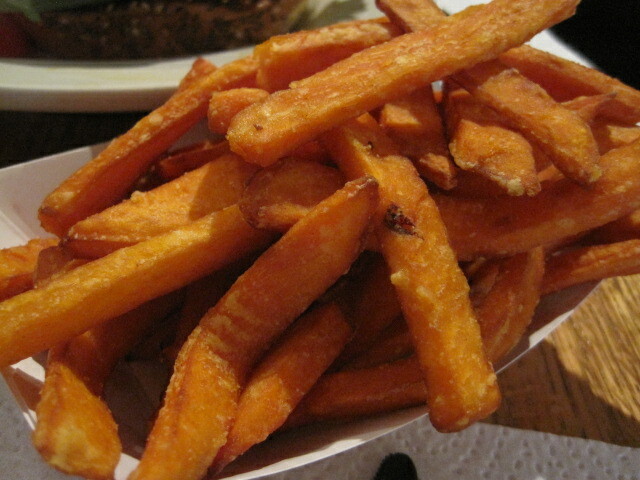 The sweet potato fries were definitely done right. Trust me, not every restaurant knows how to cook sweet potato, but Ray definitely knows what he’s doing. 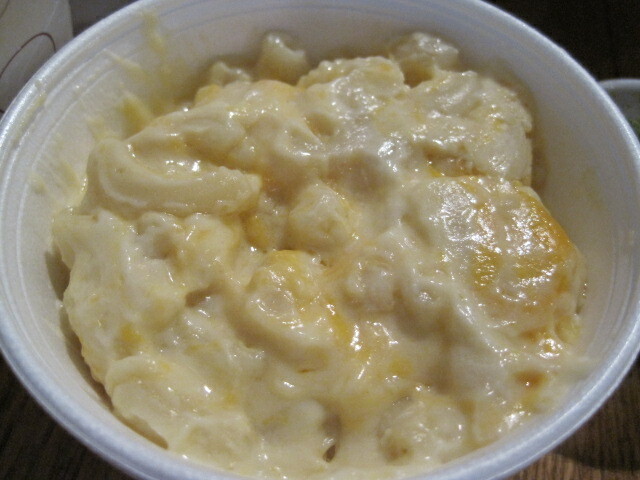 Just looking at the mac & cheese can raise your cholesterol. Also, this place is like a nice hole in the wall. Line up, know what you want, ask for it, take the number card, pick a table, stick the card at the place holder, and eagerly yet patiently wait for that awesome deliciousness. 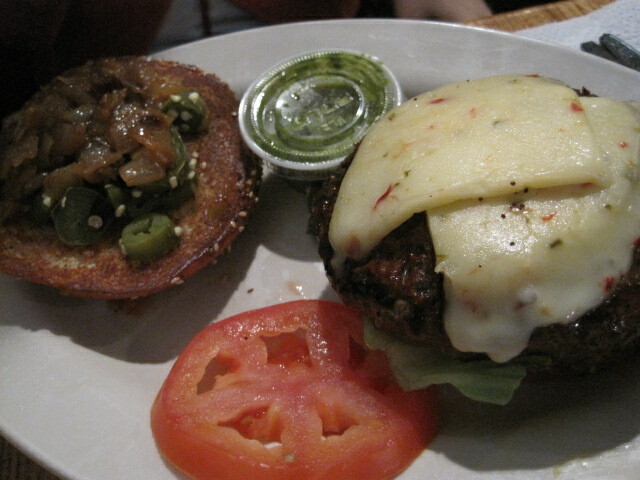 This entry was posted in Maryland, Rosslyn and tagged burger, fries, mac & cheese, Ray's Hell Burger by lizzzz. Bookmark the permalink.